In 1859 Hans Busk gave the following information dealing with the Austrian Navy. P. 106: "1 screw ship of the line, 800 hp, 91 guns, 900 men (1), 3 screw frigates, 300 hp, 93 guns, 1125 men (2), 4 sailing frigates, 171 guns, 1618 men, 2 screw corvettes, 230 hp, 44 guns, 520 men (3) ,5 sailing corvettes, 82 guns, 757 men 5 brigs, 72 guns, 527 men 3 steamers, 300-350 guns, 18 guns, 423 men, 10 smaller steamers, 40-180 hp, 35 guns, 508 men, 3 screw schooners, 50-90 hp, 14 guns, 67 men, 4 brigantines (transports), 26 guns, 220 men, 12 gun sloops, 40 guns, 92 men, 12 pinnaces, 36 guns, 324 men, 4 row gun boats, 8 guns, 312 men, 11 row yawls, 11 guns, 160 men, 2 pontoons, 20 guns, 330 men, 1 prahm, 1 mortar boat, 12 guns, 120 men, 43 piroques for lagunes, 43 guns, 90 men, 7 transports, unarmed, 430 men. 135 vessels with 852 men and 8707 men. p. 126-127: "The Austrian Navy numbers altogether 135 vessels, including pinnaces, gun-boats, yawls, and pontoons. The aggregate number of guns is 852, and of men 8707. 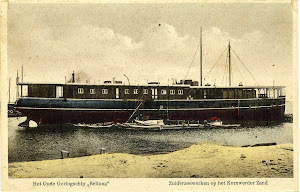 But of the above 135 vessels only 6 are steamers-namely, 1 screw ship of the line (launched in April last, and the first ever possessed by Austria)-she is a fine vessel, tolerably well built, mounts 91 guns, has engines of 800 horsepower, and a crew of 900 men; 3 frigates have each engines of 300 horse-power, mount together 93 guns, and their aggregate crews amount to 1125. The personnel of this Navy includes 1 vice-admiral, 2 rear-admirals, 9 captains of ships of the line, 8 captains of frigates, 6 captains of corvettes, 40 lieutenants of ships, 22 of frigates, 48 midshipmen (ship), 46 midshipmen (frigate) and a corps of 119 naval cadets. The seamen consists of 15 officers and 2962 men. The corps of naval architects comprises 14 officers and 6 cadets; that of naval engineers numbers 43 men. The marine artillery is composed of 38 officers, 9 cadets, and 1133 men. The marines, 1995 strong, commanded by 57 officers and 27 cadets". H. Busk. The Navies of the World; their present state, and future capabilities, p. 103 and 126-127. London, 1859. Digitized by Google. Conway's All the World's Fighting Ships 1860-1905, London 1979. I didn't use Karl Gogss publications dealing with the Austrian navy, although off great value! 1. 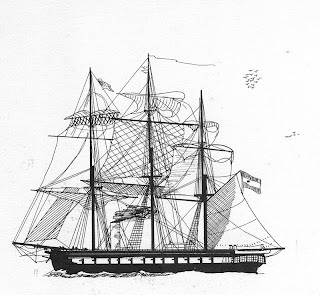 This must be the Kaiser, of which Conways stated that she was laid down at Pola 25 March 1855, to be docked 2 February 1869 and to rebuilt as a centre battery ship. 2. Probably the frigates of the Radetzky class, namely the Radetzky, laid down at Wigram, London 1851, launched 13 April 1854, the Adria, laid down at the Stabilimento Tecnico Triestino 1 August 1855, launched 26 January 1856 and the Donau, laid down at the Stabilimento Tecnico Triestino May 1855, launched 20 November 1856. 3. 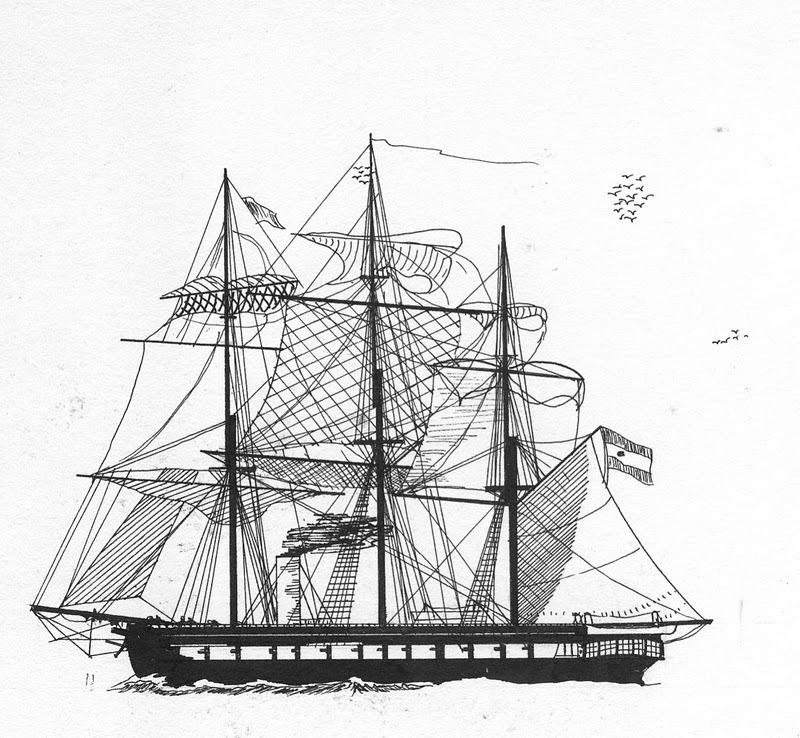 The Erzherzog Friedrich, laid down at the Arsenal at Venice 14 February 1854, launched 11 April 1857 and the Dandolo, laid down at the Arsenal at Venice 26 September 1854, launched 7 August 1858.